Wildflowers line the roadsides in Big Bend National Park. 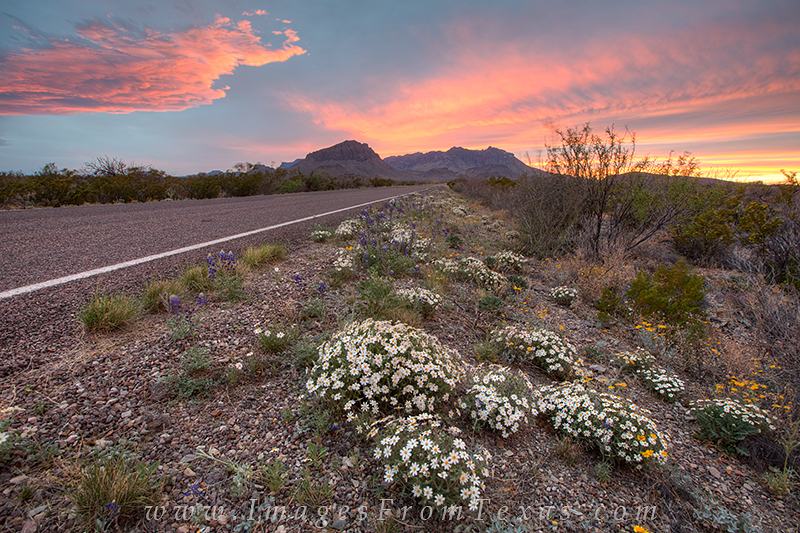 This photo of the west Texas landscape blackfoot daisies as the road leads west into sunset and the Chisos Mountains. Photo © copyright by Rob Greebon.